Live in a place that you love – Villas in Westover Hills in San Antonio, Texas. Our floor plans range from 549 square feet to 1,418 square feet, bringing a wide variety of options to fit your lifestyle and needs. All of our apartments offer modern finishes and essential features, including granite countertops, a washer and dryer, and walk-in closets. Our largest units, with three bedrooms and two bathrooms, include a deluxe master suite, large dining area, and an optional enclosed backyard for the comfort of every member of your family – including your pets! 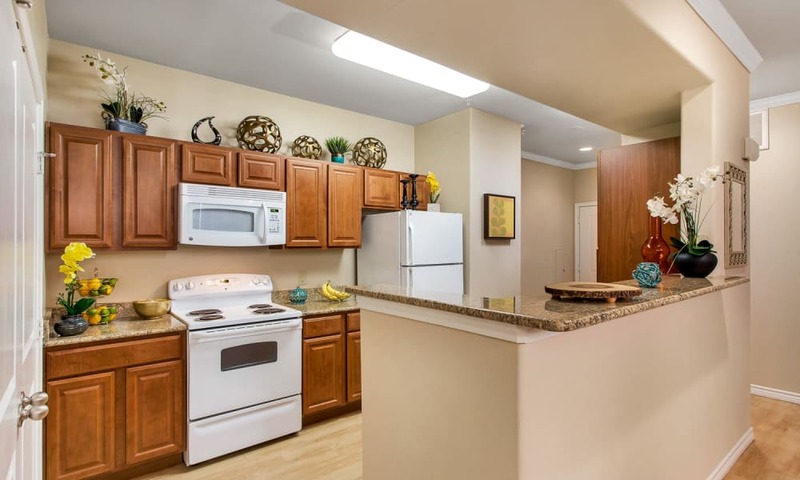 At Villas in Westover Hills, you can count on spacious apartment homes that are as convenient as they are beautiful. Live the good life in our luxury building, with plenty of in-home comforts to keep you satisfied.